I received my Bachelor's Degree in 1996 from Central Michigan University and my Master's Degree in 2002 from Michigan State University. I began my teaching career in 1997 as a 4th grade teacher. I then taught 5th grade for 2 years and 6th grade for 8 years. Two years ago I found myself back in 5th grade. I am excited for this new challenge of a 4th/5th split classroom. When I am not teaching, I enjoy spending my time with my 2 year-old son, Drew, and husband, Chris. I enjoy team sports, baking, and learning new things to bring to my students. This site is designed to keep parents and students informed as to what is going on in the classroom and around school. You will find our class schedule, upcoming events, useful websites, and documents that enhance our curriculum. I hope you check it often and find it useful. Language Arts We have been very busy in our Language Arts. Fourth Graders are studying Realistic Fiction by reading the novel Holes by Louis Sacher. While they are reading they are completing comprehension activities that consist of questioning, predicting and summarizing their reading. Fifth Graders are wrapping up a scienc fiction unit. During this unit they learned the elements of science fiction, read a novel and short science fiction books. While reading they participated in activities that included writing poems, summarizing their reading and completing comprehension questions. In writing we have been working on narrative writing. We had a celebration last week where we shared our writing. This week we included some holiday writing in writing. 4th Grade Math The fourth graders recently completed the first unit of study in Math, but will continue to gain fluency with multiplication combinations throughout the year. They have practiced representing and describing data and have now begun a Size, Shape, and Symmetry unit. In this unit, the fourth graders will measure lengths and investigate characteristics of quadrilaterals and other polygons. 4th Grade Science The fourth graders have become quite capable scientists while exploring energy, building circuits, and recently constructing functional flashlights! In the next couple of weeks, they will learn about the properties of magnets and create magnetism through electricity. 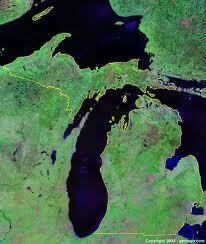 In Social Studies, the fourth graders are learning about the geography of Michigan. They have learned about Michigan's landforms and natural resources. The fourth graders read Paddle-to-the-Sea by H.C. Holling and followed the journey of a little wooden Indian canoe through all five of the Great Lakes and beyond. 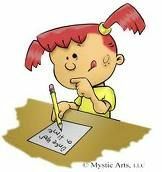 We are finishing up unit one and will have our first CAAP test on Monday, October 11th. Students should now have a good multiplication strategy to solve two-digit multiplication problems and also a division strategy to solve higher number division problems. Our next unit is Prisms and Pyramids a 3-D Geometry and Measurement unit. The 5th Graders have been learning about the seasons and why we have seasons. We have also been learning about solstices and eclipses. We have wrapped up a unit on Geography and are beginning our unit on settling in America. As we finish a chapter in Social Studies students will take a chapter quiz. They took one this week and did very well! Check the daily planner for when these quizzes are assigned.